WHY do you need to detox from sugar? Here some reasons you should get rid of sugar addiction. Sugar weakens your immune system, has absolutely no nutrients but is high in calories. Sugar can lead to Type 2 Diabetes, constipation, contribute to heart disease by raising triglycerides and LDL cholesterol levels. Sugar increases inflammation in the body, and can contribute to arthritis and other autoimmune inflammatory diseases and cancers. Sugar feeds the bad bacteria in your body which prevents you from losing weight. Sugar also feeds cancerous cells. Sugar worsens symptoms of ADHD in children and adults. Sugar feeds fungus and worms deposited in your body; when you stop eating sugar they die of starvation. Who needs those creatures alive in the body? Sugar gets stored as adipose fat and is the number one enemy of a healthy diet. If you want energy, eat fruits high in fibers and low in sugar. Detoxing from sugar should last for 20 days. You won’t believe the difference it will make in your body. I guarantee that you won’t be craving sugar again, you could have a sugary food here and there but you won’t craving and binging. You will feel so much better, and energized you won’t go back to sugar ever again. Everyone. Sugar has been proven to have no nutrients at all. But mostly people with Type 2 Diabetes, cancer, arthritis, acne and others inflammatory diseases, children with ADHD and of course those who are undergoing a weight loss program. Be attentive to the code words and alternative names for sugar. Read the back of the products you buy. Be sweet to yourself. Attacking yourself is not going to lead you towards a happy ending. You are craving sugar not because you are a bad person, uncontrollable or because you don’t have will power. You are craving sugar for a million different reasons. Each one of us has a different metabolism, lifestyle, personality and relationship with food. Try to find out what your mind, body and heart are trying to tell you when you uncontrollably reach for a piece of chocolate. If you can’t by yourself, let a specialist help you. When we are not finding love in our lives for example, we will reach out for the nearest symbolic substitute. Listen to your heart. Consider every part of your life, one by one. How is your love life?… And listen… do you have a unfinished relationship issue? Have you been in an intimate relationship for a long time? Are you happy with the money you are making and your career? And keep asking yourself questions, and write down how you feel about every aspect of your life. If one or all of these issues makes your heart feel a certain inner pain, then you may have to take further steps to try and resolve those issues. Being aware of your issues leads to the power to control your cravings. Be present, acknowledge the psychological aspects that urge you to crave sugar and give yourself what you really need. For instance, us women, when PMSing, tend to crave chocolate, because our bodies are set for procreation; every month when we lose an egg, our souls and subconscious mind enters a state of sadness, it’s an organic and spiritual female manifestation, so we crave for something that will stimulates the release of neurotransmitters in the brain, (dopamine and serotonin). When you are in ‘those days’ do something to make yourself happy, dance, sing, schedule something fun, go to a comedy show, watch a comedy on TV, call a friend who can make you laugh or go out on a date. Eat healthy proteins and good fats throughout the day. Healthy proteins are: seafood, white meat (poultry), eggs, soy, protein shakes (I like Sun Warrior), but avoid protein bars that are loaded with sugar. Healthy fats: olive oil, sesame seed oil, avocados, nuts, almond butter, walnuts, sesame seeds, flaxseeds, chia seeds, salmon, tuna, sardines, trout, almond milk. DRINK WATER! We mistake hunger for thirst. Have 8 glasses of water a day. Drinking water throughout the day will support more stable blood sugar levels. Make sure you have healthy foods that are sweet in your daily diet like sweet potatoes, beets, carrots… and use spices like cardamom, nutmeg, and cinnamon as well. Drink a glass of water once a day with a tablespoon of chia seeds. 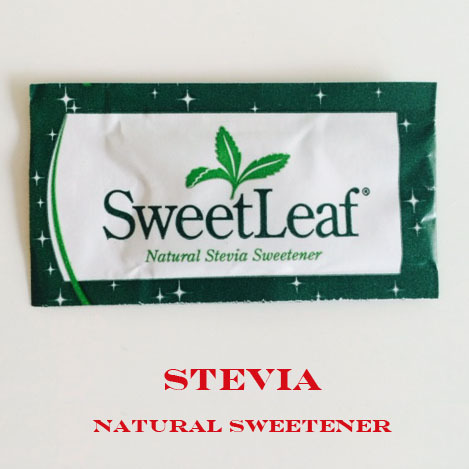 Substitute all your sugars for Stevia, which is 0% on the glycemic index, and 0% glycemic load, and 0% fructose or monk fruit sweetener, which have the same zero percentage as found in Stevia. Breathing helps you to create a sense of calm, relaxation, and balance. I like to use an application that’s called Pranayana; it has a system of breathing that can help you to you to maintain a low-stress state in the body and increases mental clarity, all of which may help you keep from reaching for that sugar fix by staying in touch with your emotions and your inner feelings. Clean your house of all the sweets! Candies, ice creams, canned or bottled juices, sodas, chocolates, cookies, breads, dried fruits, honey, maple syrup, corn syrup, refined and all kind of sugars. Look inside your refrigerator, read the back labels for sugar index on the boxes and packets. Talk to your family, your kids and your loved ones to help you, maybe by hiding the ‘sugary products’ from you. Remember; Food is a profound, symbolic substitute. When we can’t find love in our lives, it’s easy to reach for food. When the human psyche cannot get what it wants it automatically and instinctively reaches for the closest approximation. Shop for healthy food, if you don’t have a piece of chocolate, you will reach an apple when you have a craving instead. The best time to start a new resolution or a new habit is at the new moon, and the next new moon is on March 20th and it’s also an Eclipse so is a great day to get rid of bad habits. You will be so proud of your self if you win this challenge! Be strong, be smart and love yourself unconditionally. Fight the beautiful fight for your health! Detox from Sugar.